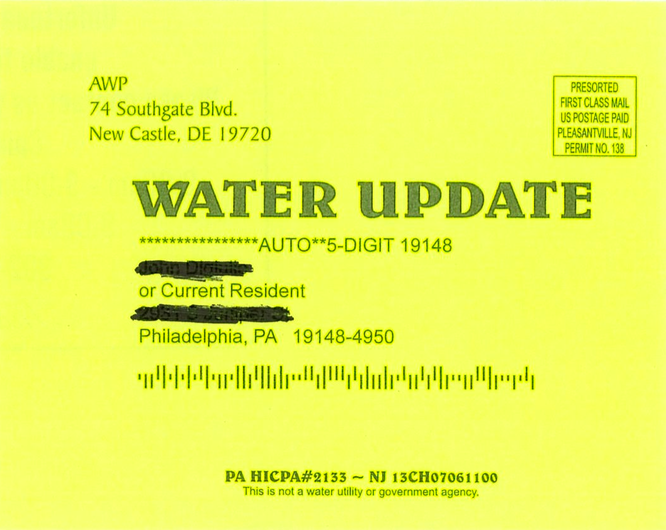 The Philadelphia Water Department is warning customers that the yellow postcard, seen above, that some have received in the mail is not from the utility company. 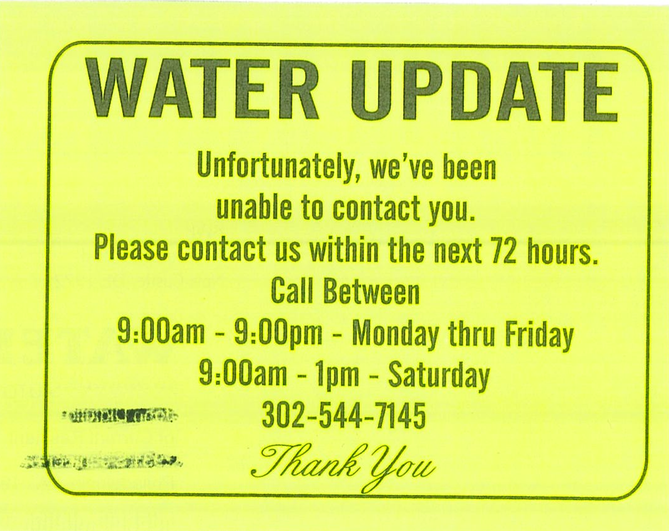 The Philadelphia Water Department says the yellow postcards with a "water update" sent to homeowners are not from the utility company. The department, which serves 1.5 million people in the city, said multiple customers have reported receiving the cards, which urge people to call a phone number with a Delaware area code. The cards are "a product solicitation for a privately owned company based in Delaware," the PWD said in a news release Wednesday. 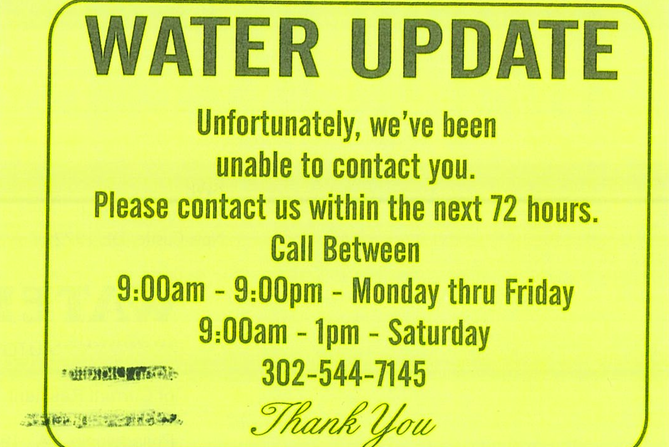 An example provided by the utility company is printed with "Water Update" in bold letters and a Delaware return address. A line that reads, "this is not a water utility or government agency," is written in small font across the bottom of the postcard. The phone number is for Atlantic Water Company, based in New Castle, Delaware, though the name of the business doesn't appear on the card. "Unfortunately, we've been unable to contact you," it reads. "Please contact us within the next 72 hours." PWD said mail from their department can be identified by the use of an official logo or letterhead. Employees wear PWD-issued uniforms with trucks also featuring the PWD logo. "PWD values its relationship with the citizens of Philadelphia, and we strive to keep customers informed of any instances where companies are distributing potentially confusing materials that may be designed to appear as if they are from a local utility," the department said. Residents with questions can call the PWD hotline at (215) 685-6300.